I'm way too swamped at work this morning to say anything more than this: The 2013 Sasquatch Music Festival lineup is here & it is STACKED! I'm SO pumped for my 4th Sasquatch in a row at the absolutely BREATHTAKING Gorge in George, Washington!!! 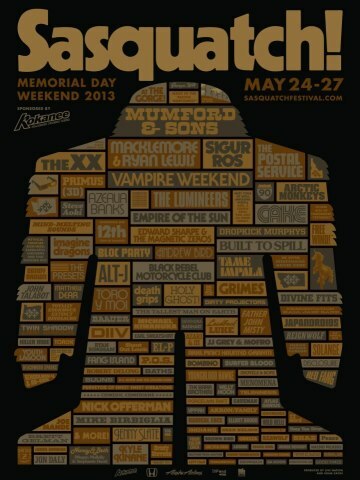 If you've never been to Sasquatch before, this year is the year to go!